If current trends are any indicator, Sweden may someday become the first entirely cash-free society. Although credit cards and mobile payment technologies are commonly seen as cash alternatives throughout the world, Sweden has embraced electronic payment innovations on another level. Swedish retailers increasingly refuse to accept cash, and public transportation no longer takes coins or bills. 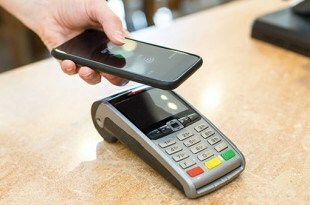 Customers must pay using cards or mobile apps instead. Churchgoers can even text their donations to their parishes. The rising popularity of cashless options among Swedes is evident in recent statistics. Niklas Arvidsson, associate professor of industrial dynamics at Sweden’s Royal Institute of Technology, told The Guardian that four out of five purchases are now made electronically in Sweden. Last September, the Bank for International Settlements (BIS) reported that cash now comprises only 2 percent of Sweden’s economy (compared to 7.7 percent in the United States). The shift away from cash is seen as a positive move by some consumers, who like the convenience and efficiency of digital payments. However, the added ability to track purchase history, while appreciated by small business owners, has become a concern to others. Using cash offers a degree of privacy that is impossible to achieve in a digital-payments-only society. If cash disappears, experts say, security costs for storing and transporting cash may decrease, retail robberies involving cash theft may decline, and black market purchases may become less common. But the transition to all-electronic transactions won’t wipe out crime entirely: e-commerce fraud is likely to grow. Sweden’s Ministry of Justice data show that electronic fraud cases jumped to 140,000 in 2014—more than twice the amount that took place in Sweden in 2004, the New York Times reports.